Front row (l to r): Toppan Lazarus, Justin Blank, Christian Earl, Jose Santana; 2nd row: Matt Webber, Lucas Saffos, Josh Krasner, John Shaver, Trevor Hand and Alex Collins. On Wednesday, December 7, the Brothers of our Delta Delta Chapter (Wesley) gathered at the Fraternity Archives Office (aka the old Central Office) to decorate it for Christmas. While the brothers were doing their decorating they consumed Christmas food. Once completed with the decorating they engaged in a Christmas grab-bag gift event. Following the completion of festivities at the office, the brothers then went out to have a Christmas Dinner together before leaving for break. 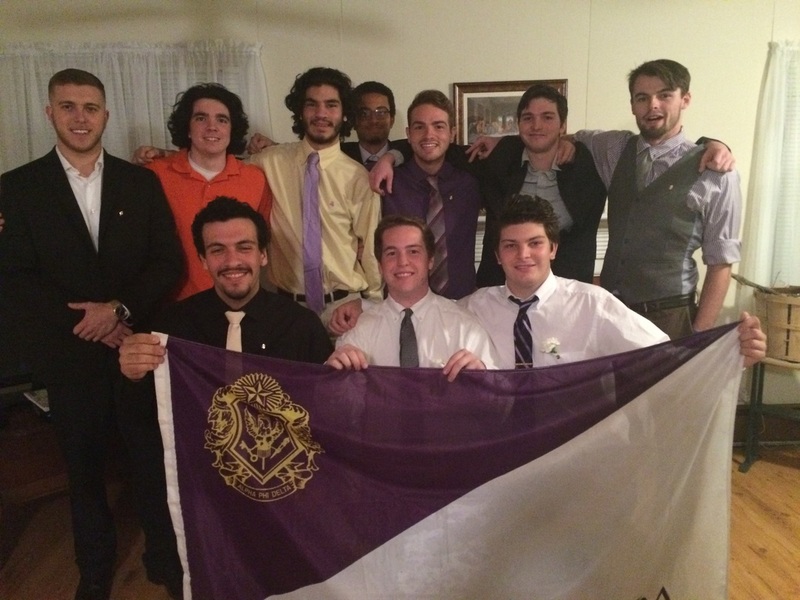 Our Delta Delta Chapter (Wesley) prepared to welcome in the Fraternity's 102nd anniversary year with the initiation of three new members from Chapter's Beta Zeta Pledge Class, on the evening of November 4, 2016. 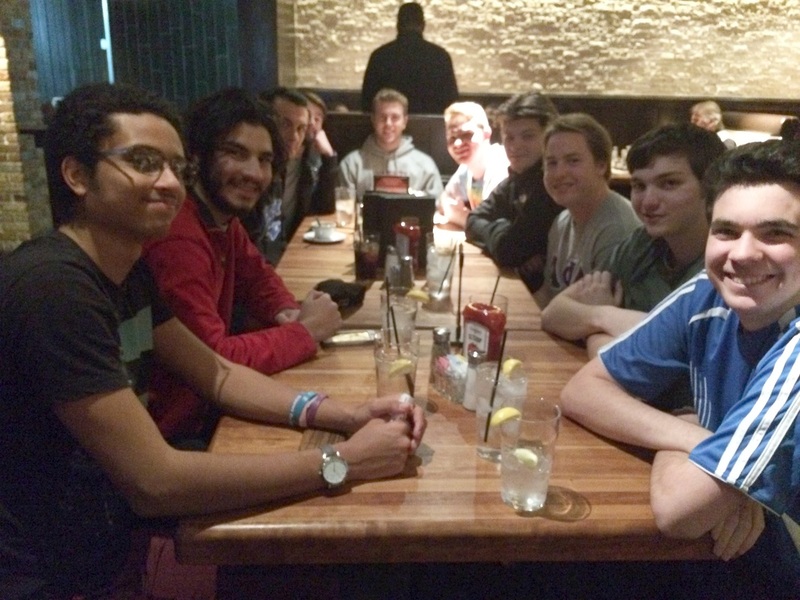 Following the initiation ceremony, the the brothers of Delta Delta held a celebratory dinner for its new members at the local Texas Road House, where the brothers feasted on veritable calf-ateria of great steaks and ribs. Congratulations to our new brothers! 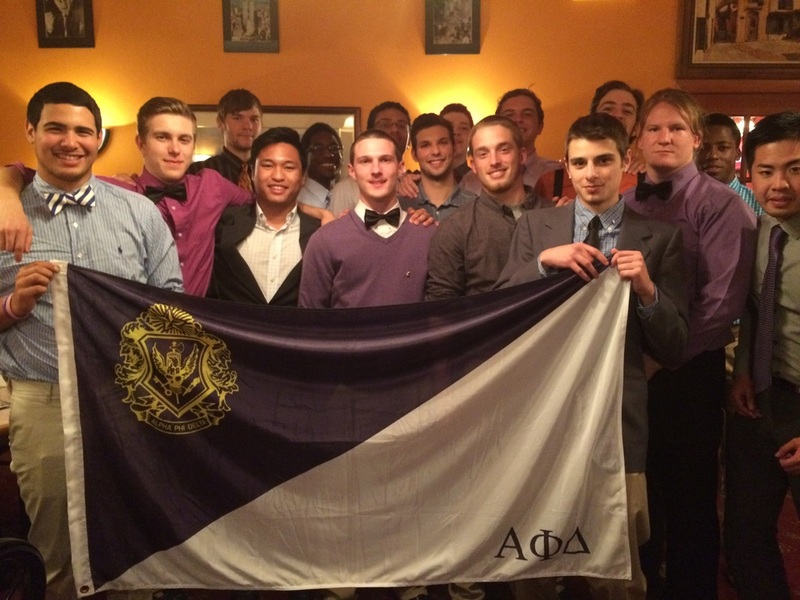 Our Brothers of Delta Delta Chapter (Wesley College) celebrated the 101st Anniversary of Alpha Phi Delta in fraternal style. 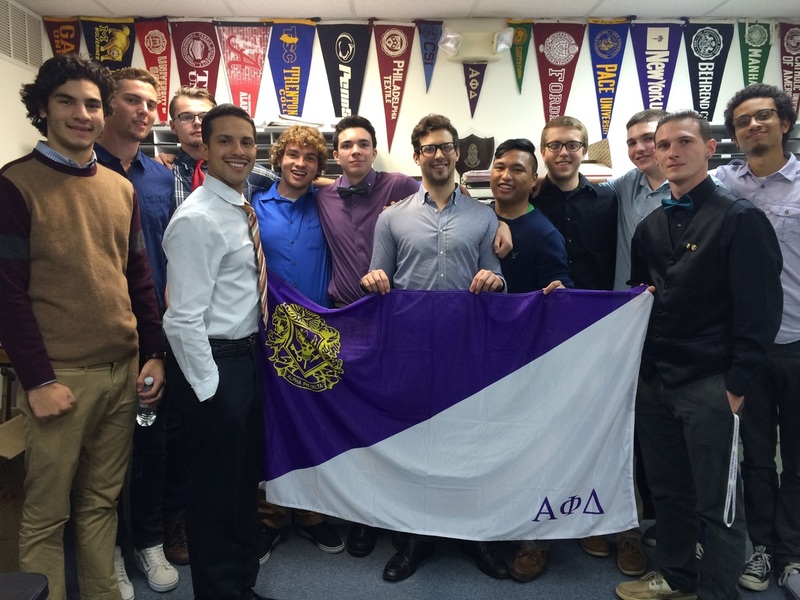 They gathered for dinner at Giacomo's Italian Restaurant in Dover, Delaware and then paid a visit to the Fraternity's Central Office, where much of the history of Alpha Phi Delta is maintained. 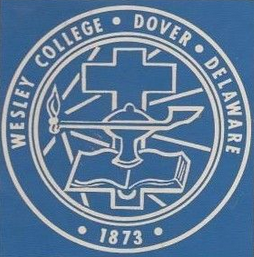 Delta Delta (Wesley College) said goodbye to two of its brothers this year. On May 9, 2015, at Wesley College's Commencement Frederick C. Sottnick (Delta Delta '11), Past Chapter President, and William M. Crockett (Delta Delta '13) graduated. 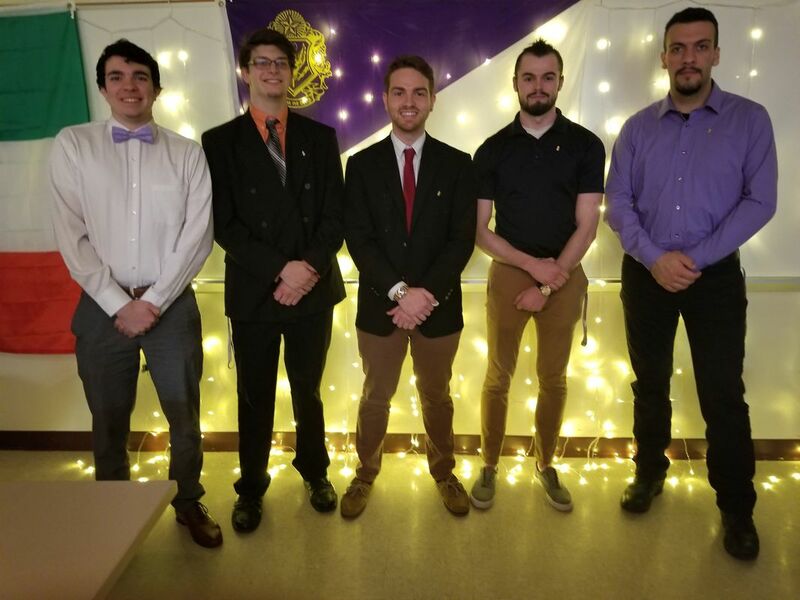 A week and half before graduation the brothers of the Chapter gathered for an end of the semester dinner to honor and send off these two brothers as they moved from undergraduate status to fraternity alumni. We wish them well as they go out from Delta Delta in their alumni years in APD. 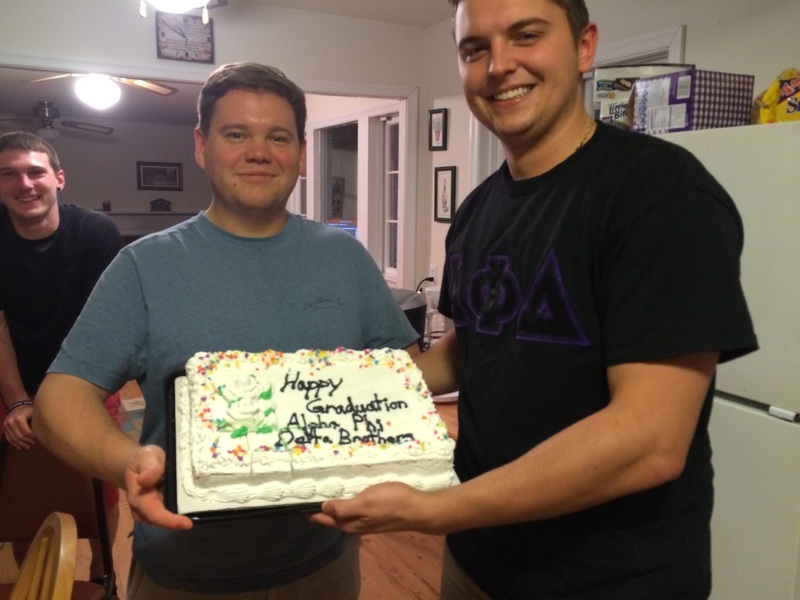 Delta Delta Grads Crockett (l) and Sottnick (r) pose with Graduation Cake at Chapter End-of-Semester Dinner. 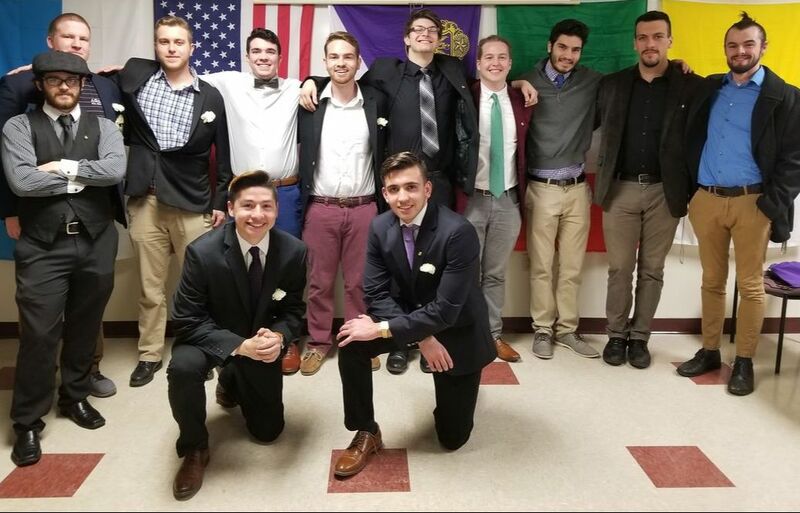 Delta Delta Hosts 3rd Annual "Frank Sinatra Night"
The Brothers of Delta Delta Chapter (Wesley College) promoted Italian culture in style as they hosted the Chapter's 3rd Annual Frank Sinatra Night on Wednesday, April 15, 2015 at the Wesley College Centre. This annual dinner event honors our fraternity brother Frank Sinatra, who would have been 100 years old this year. 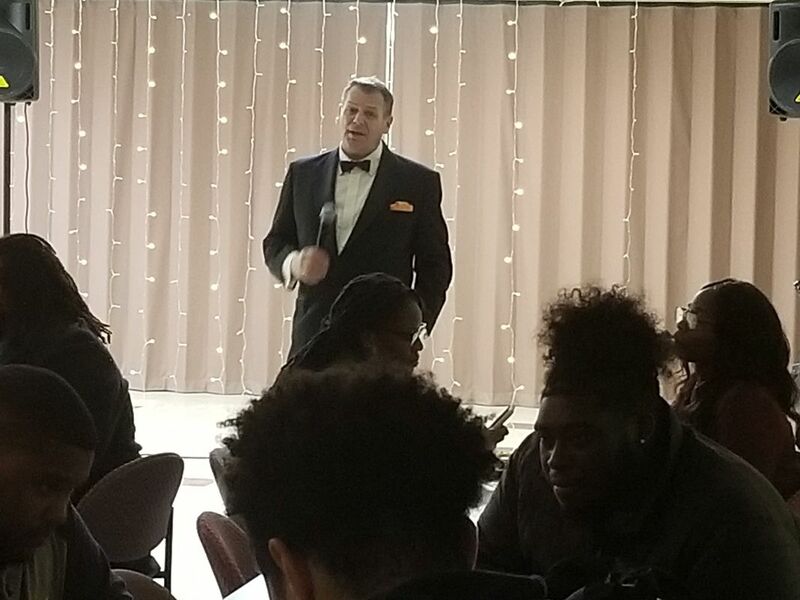 Sinatra impersonator Sean Reilly of Wilmington, Delaware wowed the students at Wesley as he sang many of Ol' Blue Eyes biggest hits: "Summer Wind," "High Hopes," "Strangers in the Night," and many more. The evening closed with a duet with our Sinatra impersonator (Reilly) and Delta Delta brother/Sinatra wannabe Alex Dello Buono singing "New York, New York." The Chapter sponsored this event, free to anyone who wanted to attend -- with dinner included (which featured baked ziti and other Italian favorites). A packed room of Wesley College students filled this event, and made it another big success, as they were entertained by an evening with Sinatra! We wish all of our officers and all of the officers in the chapters throughout Alpha Phi Delta Fraternity, especially those in the Delaware Valley District, a very successful year in 2015. Faciamus! The brothers of Delta Delta Chapter visited Central Office several times in the past few weeks to help Central Office keep itself in working order. 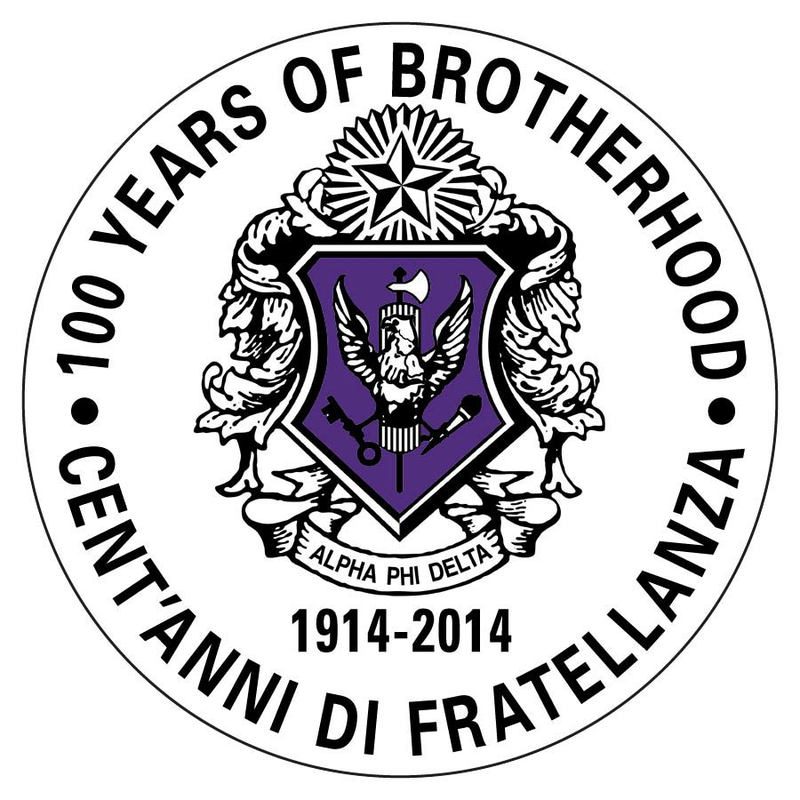 What was done? A clean-up of the office, reorganization of supplies, inventorying of supplies, and tons and tons of filing. Delta Delta won a special award from the National Fraternity a few years back thanking them for the thousands of hours of service that they have put in at Central Office. The good work continues!